Still today, most of the websites earn a handful of income from servings Ads. Even if somehow you are not using AdSense, there are still many great Ad networks which pay a high CPM based on how you target your keywords. When you are a beginner, the best way to earn money from your blog is serving Banner advertisements on your blog through reputed networks, most preferably AdSense, and other CPM networks such as PropellerAds. While using Ads to earn money on autopilot and inserting the small piece of code is simple, Advanced Ads does make it easier. In this post, we will check out a complete review of Wp Advanced Ads plugin developed by Thomas Maier. Since I have been using this plugin for more than 1.5 years on 14 different WordPress sites, I’ve pretty very much to share with you. Advanced Ads is a WordPress plugin that comes in handy for managing multiple Ad networks as well AdSense Ads with ease. It is a lightweight plugin with many features and some of the salient features are nowhere else to be seen. You can start using the features of Advanced Ads as soon as you install the plugin as it comes with a whole new level of creating ads feature known as AD Wizard. Keep in mind that Advanced also comes with a power-packed free version and it has everything you need to grow your blog’ Advertisement revenue. The Advanced Ads plugin comes with a bunch of powerful features, all of which makes this plugin different from other Ad plugins for WordPress. Geo-Targeting – When you have a multilingual audience base, you can actually leverage your revenue through smart geo-targeting and Advanced Ads has everything you need to do this. You can show different Ads to different people based on their geolocation. 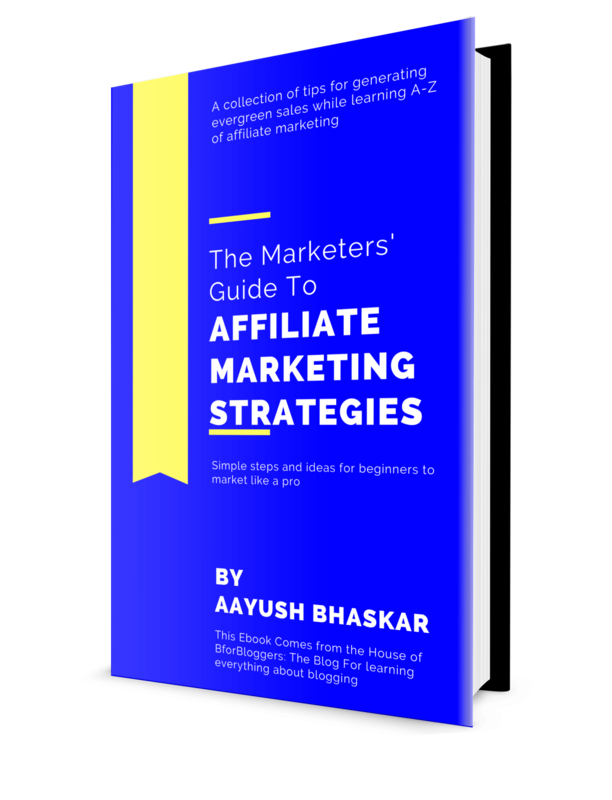 Taxonomy Triggered Ad visibility – I showed you this in the affiliate marketing strategies guide that showing selective affiliate banner to people with specific interest increases the revenue. Well, the Advanced ads plugins made it possible with a very simple 1-click process. Manage Unlimited Number Of Ads – There is no restriction on how many ads you can display on your site using advanced ads plugin Neither in the free and of course nor in the pro version as well. This can actually save you a whopping $100 a month if you compare this with other plugins out there. Sell Ads Direct From Your Site – What if I tell you your Advertisement income will increase on auto-pilot? Thomas made it true! Advanced Ads comes with a smart automated Ad slot booking workflow which makes it easier for Advertisers to buy your Available ad slots directly from your site. Device Based Display condition – The web users aren’t browsing from the PCs only, they use smartphones and even feature phones too (if you already didn’t know). There’s no way you can handle who comes to your blog from what device. So, if you want your AdSense account safe, revenue goes up and visitors sound happy, Do this. Show different size of ads on different devices. Show Ads On AMP pages as well – If you are using AMP for WP plugin by Ahmed Kaludi, you would definitely love what Advanced Ads plugin can do for you. It can easily let you add multiple ads on various locations on your web pages that support AMP. That means, no more wasted AMP page views! There are 6 different types of ad slots available. You can use any of them to display high-quality ads based on various parameter including visitors condition that works on cookie and geo-location. Moreover, if you are having any difficulty in making your first ad, use the AD wizard button located just beside the new ad button. This will start an automated system that will walk you through different sections of creating your first ad with ease. The ads group work like the categories. The one main benefit of grouping ads is automated rotations. I recommend you to group your ads distinctively. This way, you can make a picture of what ads and which format works the best for you in terms of increasing revenue and user experience. There are more than 10 different types of placement options available. If you want more, you can easily get it through an addon. With so much of features given, the Advanced Ads plugin costs lesser than any other given competition. For single WordPress sites, You can purchase a one year license in €69. If you manage 3-5 sites and wish to use the WP Advanced Ads plugin on all of them, You can choose the €269 plan which includes 8 Add-ons along with full support and updates for 4 years. The price is not certainly a little bit higher for any beginner. It may break the budget for some just starting out but we know, quality comes with a price. The pricing is not a downside and certainly not a reason for not using. If you are looking for a complete solution for managing all those hectic ads networks from one single and simple dashboard, Thi plugin is for you. Think of this purchase as an investment because, over the time, you will see increasing profits for sure. To gain access to all of them at once, you will have to purchase the €269 all-access plan. Needless to say, if you have to choose and work with one or two of them, the price starts from €9 per addon. These add-ons are made for people who love to work on special ad placement and scaled data. If you are conscious and skeptical about how your Ad network counts and tracks the impressions and clicks, you may choose to get yourself a tracking addon. This addon works very well for tracking clicks and impression for any given ad slot you want. This a very nice way of keeping records and earning for your real potential. You can count on Thomas (the WP Advanced Ads plugin developer) for every query you may have. Even if you are using the free version of the plugin. It may not be that fast and he may not have the time to handle your request personally, but the solution will be at the same level. He maintains his tutorials section for beginners and advanced users where writes about better Adsense optimization and other AD-related tutorials. You can reach out to him via email and if your query is genuine, you will get an appropriate reply. So overall, support is quite great. Advanced ads have many additional features. The one I appreciate the most is the flexibility of Ads placement. You can also use the PHP function codes to place the Ads you have made. It also supports shortcodes functionality which makes it easier to show other format and elements in the form of ads. I use the Advanced Ads’ rich content format to show my pre-made affiliate coupons wherever I want. I use it to distribute these coupons based on categories and devices. This has really helped me leverage my income in terms of affiliate commissions. There’s also a direct image and format. Here you can put up any custom image that can be attached to a URL, Thanks to Advanced Ads. It is a GIF format image and I have attached my affiliate link to it. It’s that simple. Also note, I don’t display it on the homepage, It’s shown only on posts and pages. If you want to stand out from others, you can create custom images for promoting affiliate products on your blog and use the image ad type to attach the affiliate link to it. If you are promoting a product through scarcity marketing, you can even set an auto expiry date for a selective ad. You don’t have to worry about removing them manually. One of the many problems users face it that sometimes, the ads we make and publish are nowhere to be found when we check them on live site. OR, it may happen our ad may not look the way we thought it would when we place them in the header or footer. It may happen sidebar would be a better place for a particular ad. Well, Advanced Ads has a solution to that as well. With its dummy ad feature, you can try out different ads format and types in a different place to see and analyze how would they look and feel when published on a live site. If you experiment with many ad format and advertisers and want a hazel free way to perform this task it’s better to go with this one plugin. In the end, the Advanced Ads plugin is quite great for everyone including beginners as well as advanced users. With Addons so powerful and features so great, you can expect a higher level of Ad management experience. I really love this one plugin and Advanced Ads belong to that list of plugins, I have been using from day one. Do share this post on Twitter and Facebook. Awesome review Aayush, Advanced Ads looks a perfect plugin for Ads in WordPress. Advanced Ads is a great plugin. 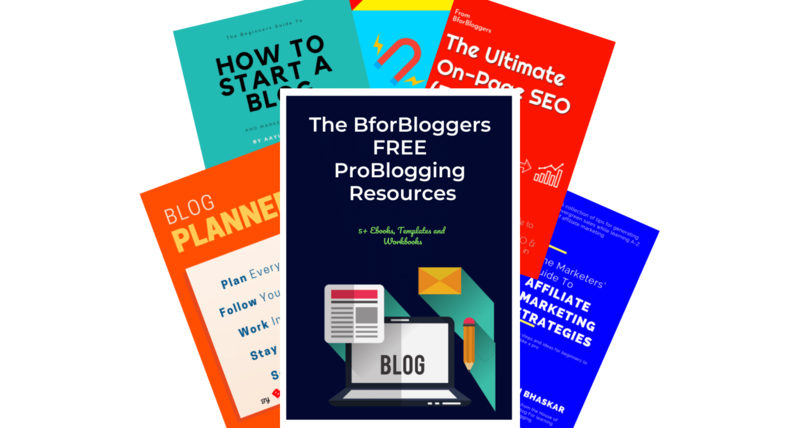 I use it here at BforBloggers and I don’t feel switching it any time soon.